Suzuki has released full technical details of its 2019 RM-Z250, with the MX2 machine getting a new frame, swingarm and suspension, plus a new engine that produces more power and torque than its predecessor. The new RM-Z250 also gets the latest version of Suzuki’s Holeshot Assist Control and traction management systems, further improving its performance,while more angular new styling sharpens the look. 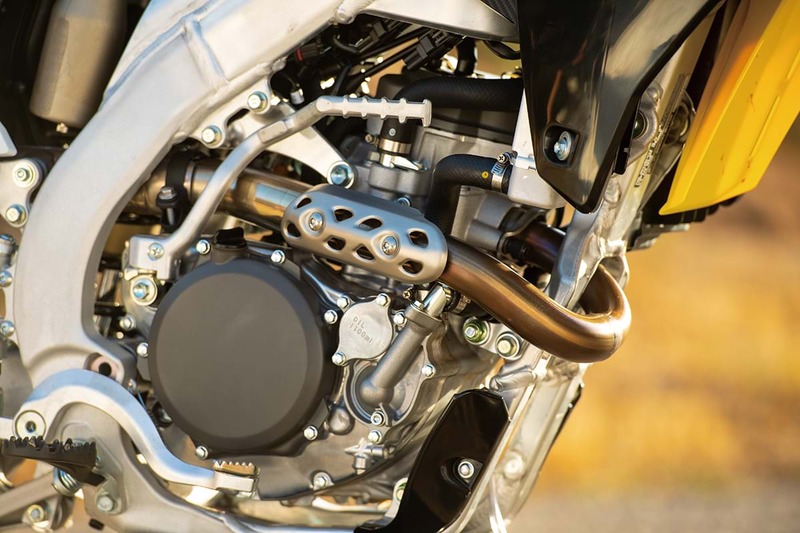 With a focus on improving both power and manageability, the 2019 RM-Z250’s engine has undergone significant enhancements. 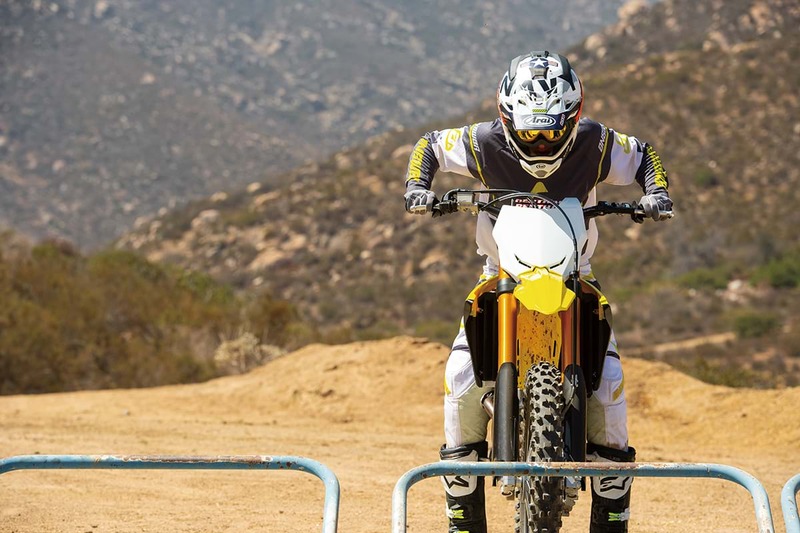 Weight reduction was a key objective for Suzuki engineers during development, whilstimproving the 2019 RM-Z250’s handling performance. A new frame retains fore-aft rigidity, running the length of the bike, but increases torsional rigidity by 10%. It also reduces weight by 370g. 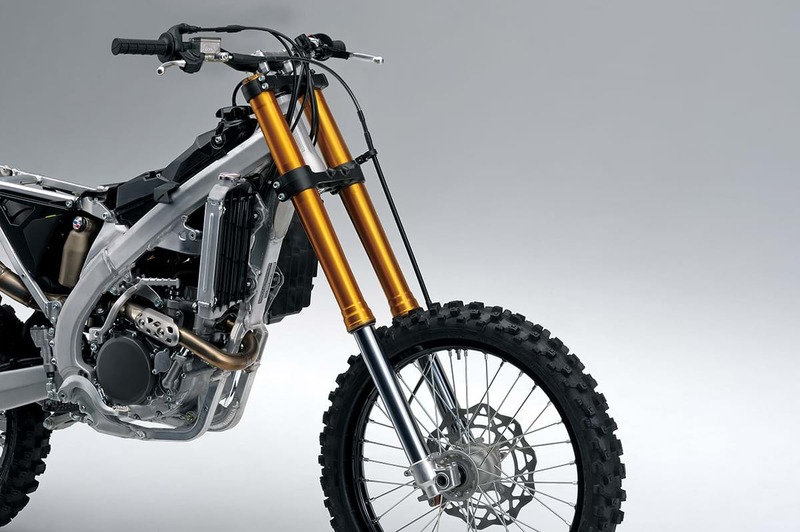 Weight reductions continue with the swingarm, which adopts a new manufacturing process from the previous model. While the old swingarm was producing using a swaging process, hydroforming is now used, removing the need for welding and saving 80g. It also uses a tapered cross section, making it more rigid, plus a new chain guide saves another 30g and is more durable. Ergonomic changes help improve handling performance and the bike’s agility. 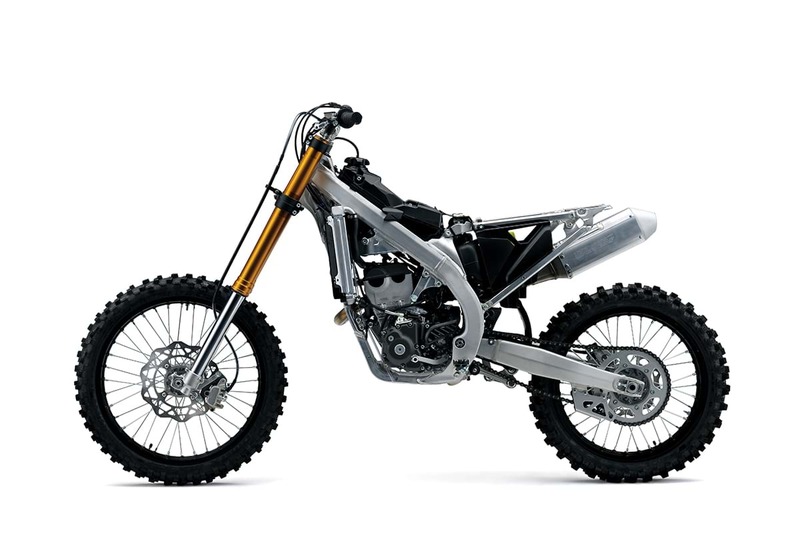 Fully-adjustable suspension is again provided by KYB, with spring forks replacing the air forks on the previous generation, and a new rear shock. There are also further weight reductions, thanks to a lightweight spring with thin wire diameter, derived from MotoGP knowhow. This reduces weight by 370g, while the rear suspension linkage is reduced in weight by 15g. The 2019 RM-Z250 stops better than its predecessor, thanks to a larger front brake disc, which goes from 250mm to 270mm. New brake pads give a more linear feel in response to rider’s input at the lever, and there is a new rear brake master cylinder which improves operation, better prevents dirt entering the system, and is designed to better prevent the rider from catching it with their boot. Turning and handling performance is further enhanced courtesy of lighter rims, with a new front rim 40g lighter and 60g saved with a new rear rim. The new rims are also shod with new Dunlop MX33 tyres for greater traction. Suzuki’s advanced Holeshot Assist Control and traction management systems are further improved for 2019, giving riders a better chance to get out of the gate ahead of the competition and stay ahead in the race. Suzuki Holeshot Assist Control (S-HAC) was developed to give riders an advantage out of the gate, optimising ignition timing to help the launch be as efficient as possible. Two modes either advance or retard ignition timing, with riders able to select either depending on the surface. Mode A retards ignition timing, giving a softer power delivery for use on hard surfaces or in slippery conditions, maximising traction. Mode B is for use in normal conditions on grippy dirt and advances the ignition timing for a more punchy launch. In both modes, S-HAC deactivates and ignition returned to normal timing after six seconds, when the rider shifts in fourth gear, or when the throttle is closed. The updates to both modes make it easier to control engine speed before and during the launch and improve controllability accelerating towards the first corner. A button and indicator light are mounted on the left handlebar. With the engine running, holding the button for 0.7 seconds will select mode A, and the indicator light will flash. Holding for 1.8 seconds will cause the light to flash faster, denoting the selection of mode B. Once out of the gate and racing, the latest evolution of Suzuki’s traction management system helps the new RM-Z250 maintain an edge over its competition as the bike’s ECU monitors throttle position, engine speed, and gear position, with that data controlling ignition timing and adjusting the fuel injection rate to control engine output and optimise traction. The system differs from road-based traction control in that it does not monitor rear wheel spin. It does not control traction once the tyre slips. Instead, it offers constant control that maximises traction the whole time it is functioning. 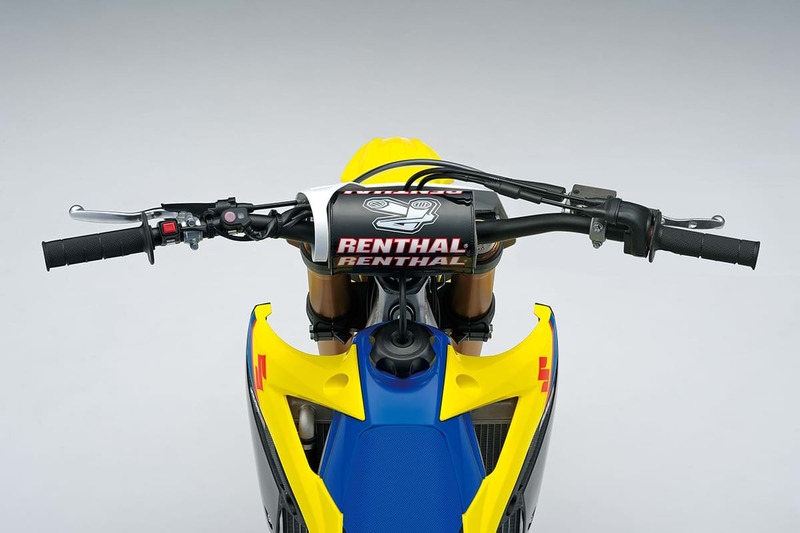 First introduced on the RM-Z450 in 2008, the system has been continuously honed and refined across Suzuki’s motocross range, with new ECUs promoting faster processing, as well as other new components including throttle bodies and updated intake systems enhancing performance. For 2019 more ECU updates and the adoption of twin injectors further improve the system’s operation. The 2019 RM-Z250 will be available from authorised Suzuki dealerships in spring 2019, with pricing to be announced.